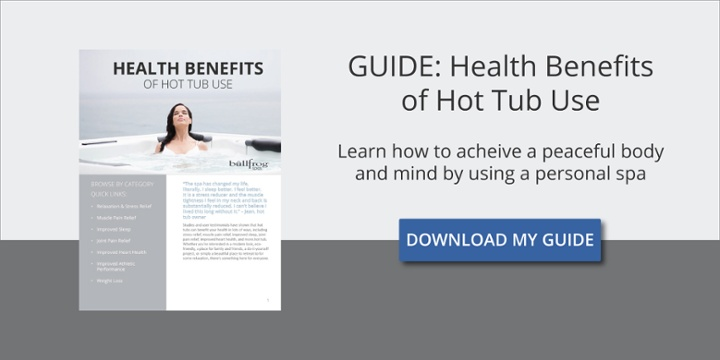 Can my hot tub help me achieve my fitness goals? Joint and muscle benefits of warm water. A NASMI study and other scientific research suggest that hot water therapy, 98-102°F, helps to increase blood circulation within the muscles. This is likely one of the reasons that soaking in a hot tub or warm bath often relieves muscle and joint soreness. Researchers, including Dr. Becker of the National Aquatics and Sports Medicine Institute, suggest that the improved circulation that occurs while soaking in warm to hot water may aid in the process of healing after muscle, bone, joint and connective tissue injuries such as those that often occur in sports. This is part 4 of a 7 part series. Part 5 will explain the health benefits of reduced hypertension through hot tub therapy.